This is facinating! Beyond my abilities, but totally amazing. I'd be interested in purchasing one of these units. Hi, I have some question on your PiSmoker project. On the FireBase setup do you have a list of the variables that I have to define in the FireBase DB or does the service just write them out as a JSON object. First time using FireBase and I'm trying to understand it a little better. On another note... I've just about ordered all my pieces to create my PiSmoker! I have my Raspberry Pi and I'm off and running. I'm giving my project a name PelletPirate! I plan to add a 2nd meat thermometer so i can monitor a brisket and pork shoulder in the same cook. If all goes well, I may contribute a wiring diagram to the project and some other tweaks! I really want to thank you for posting all this great information. It's a huge jump-start! I am glad to hear PiSmoker helped motivate PelletePirate! Adding another meat thermometer is a good idea. I have the parts, and intentions of doing that myself. Are you planning on using RTDs? I went with an RTD since that is what is in the Traeger. 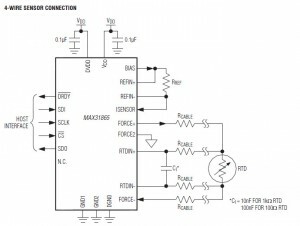 Just a heads up, the MAX 31865 uses SPI. The RPi only has 2 Chip Selects for SPI. However, I believe there may be some options to use other pins for CS. Firebase will let you just write to variables without defining them. However, I believe the parent variable must be defined before you write to a child. For example, you can just write "Bob", but not "Steve"/"Bob" without defining "Steve" first. Firebase is great, and the web interface helps you visualize what is going on. For my implementation, I believe I can clobber the entire tree and everything still works. Please keep me posted on your progress. I would be happy to get you an account here for you to document your progress. Thank you for the feedback. I am always glad to hear there is another PiSmoker out in the world. Please share pictures! (As I say that, I realize I don't have any final pictures in this thread). I also went with 400 and 4k Ohm resistors for the reference. Sorry for the confusion, I should have included that. The MAX31865 recommends 4x the RTD resistance. Best of luck. Please let me know how it works out. 3. Change the code to report 0 as meat temperature if the meat probe is disconnected (now it jumps up to 1500). 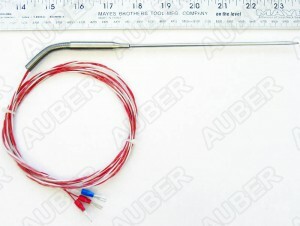 My meat probe can be disconnected. By the way the Power Supply that I have in the pictures did not work properly, I changed to something similar to what you are using. The enclosure that I got from Adafruit is a bit tight for all the components, also it gets quite warm in the sun. I will keep my eye on the CPU temp to see if I need to do something about it. Excellent work! It eerily similar to mine! I am glad to hear that everything went together smoothly. I agree that the Firebase authentication could be smoothed out. I went with the simplest option (outside of wide open), and never got around to anything better. The mobile notifications is a good idea. I had a short with my button setup (which I rarely used, so I simply commented out the code that read them), which resulted in ruining a large July 4th brisket. Ooops. I'll have to give some thought to an easy way to send notifications. Text or email would work great, but require 3rd party services. Best of luck. Please keep me posted as you toss some meat on the smoker. Wow this looks amazing, I need to build this! I'm familiar with Linux, databases and a bit of Python programming, but not so much with the hands-on stuff. 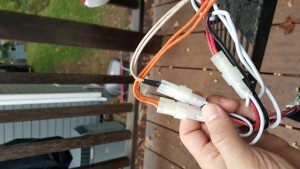 Could you help me out with how to figure out which resistors and capacitors to get for this project? For the capacitors I'm not sure at all what to get. 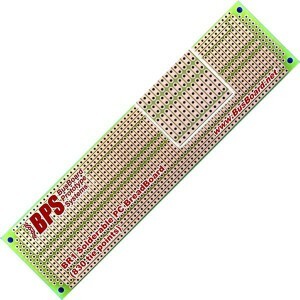 The spec sheet lists 10nF and 100nF for the 2 RTD's..
For resistors, you likely can't go wrong. However, I did go with higher tolerance for the reference resistors. However, I don't think that is necessary for the rest of the resistors, so you probably can save a bit of money there. .
For the capacitors, it looks like I have 0.1uF and 10 nF listed. That is the same as 100 nF and 10nF. this is a very nice project. 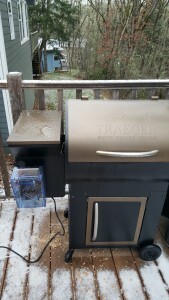 I´m from Germany an i have also a traeger smoker. 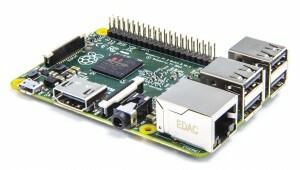 where kann i download the img for the pi with all software? MAX 31865s - i don´t understand the connektion of the two 31865! 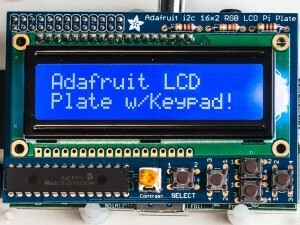 i buy from https://www.adafruit.com/product/269 two breakout board´s. Do you have a sample Picture vor the connektion? I do not have an image ready to go. The link you provided are for MAX31855, Not the MAX 31865. Honestly, it is a pretty cobbled together project. This post should get you started, but there will be some learning along the way. I have been wanting to do something like this for a while. I was never happy with the Traeger controller. Here's an idea for your next iteration, if possible. Use of any number of sensors to detect when the hopper is getting low on pellets. Could be something along the lines of an ultrasonic sensor on the lid to give a real-time sense of how full the hopper is, or just a light sensor somewhere below the half full mark to alert when the hopper is low. However, the hopper has been large enough for 12 hour smokes, so that has been a big concern. The necessity probably doesn't warrant the complexity. Dan where can I get the firmware from. Do you have it readily available on a public share site like github. Also any other pictures etc. to get it going? There was someone that posted his design on peltetheads and had custom PCB etc. It does almost everything I am looking for but looks like the threads been dead for a couple years. Yours is pretty damn closed to what he did but with off the shelf modules etc.I am very interested in trying what you have done. Best of luck! Let me know if you find any bugs. This morning I bought a used (read: old) Treager Smoker. 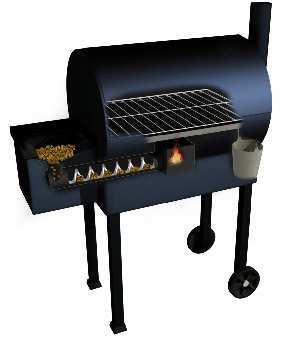 It's the small kind (li'l tex, non-elite)...Just wondering if I were to do this mod, then buy another, larger Traeger, would it work in a different-sized smoker? That should work fine. You might want to "tune" it differently, but no physical difference. I am curious with the Python-Firebase and the tokens they are mentioning they maybe out of date with the current Firebase. Do you know anything about this? 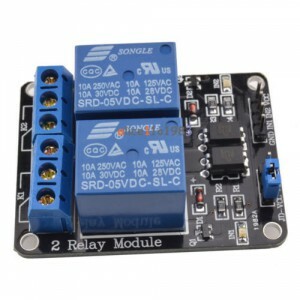 Is there any other simpler way to secure this controller or disable the token so I can test the unit without that aspect? I believe you are correct. I think Firebase has moved on to different authentication schemes. I am currently grandfathered, so I haven't had the motivation to update to the new authentication. However, I hope you can figure it out and send some changes my way. Thanks for the info. I am just getting issues with "cannot read buttons" is that it trying to read the LCD( i am doing it without an LCD) or an issue with Firebase? Disregard that question. I got it working just one small issue remaining with a bunch of the web client controls disappearing. Thanks for the awesome program. The web client might be confused that it isn't 'authenticated'. You can probably comment out that logic. Thanks for the feedback on the PID logic. Believe it or not, I actually had trouble finding sample implementations of PID loops online and in text books. For someone with a few control theory classes under his belt, I am ashamed to say how long it took me to implement the PID logic. I originally used a RTD I purchased of ebay. However, it's life was short, and I decided to pick one up from Auberins.com. This one has been great, and I believe it to be accurate. However, I certainly paid for it. Best of luck with your charcoal smoker. I'd be interested to hear how it turns out. Fuel auger implementation is somewhat similar to PVM, somewhere between 0% and 100% duty cycle. However, I am sure you can find all sorts of new challenges as you dig in. I haven't looked at your code, but your description of the PID logic doesn't mention controlling the fan - just the auger. 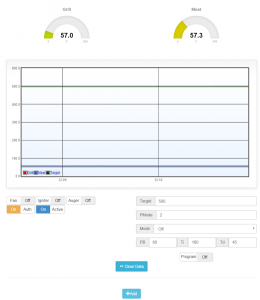 I have a SmokeDaddy PelletPro PID controller on my Traeger, and it works pretty well, but I've been thinking, as you have, that it would be an interesting project to make my own controller out of my RPi. (I've had the RPi for a while, bought it as a toy to experiment with). Anyway, the PelletPro does implement variable speed fan control in addition to auger control. So, does your logic also control the fan speed, or is it just on/off? Thanks for sharing your implementation! You've put a lot of work into this, and we, the hackers of the world, appreciate your sharing! I am not controlling the fan (other than on/off when necessary). 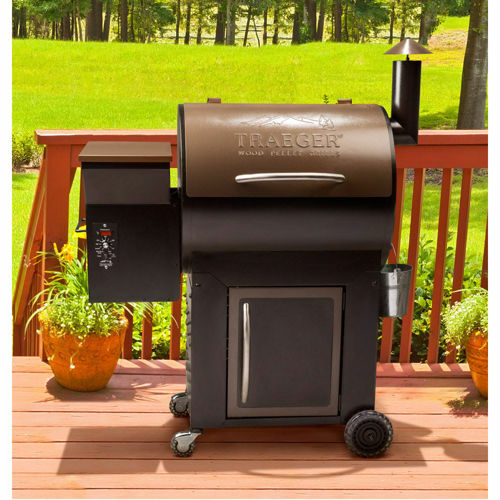 This is similar to the stock Traeger implementation. And, to be honest, it is able to control the temperature tighter than I would have guessed. And, to be honest, controlling 2 variables instead of 1 is probably over my head 🙂 It is a lot easier just to throw more wood on the fire. Additionally, I am not exactly sure when I would throttle the fan. Best of luck with your implementation. Please let me know how it goes.